Oui oui! 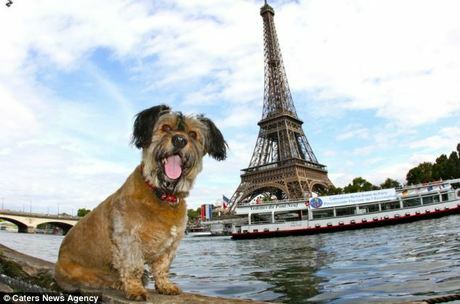 Inspired by a petition, members of the French Parliament voted at last week’s National Assembly legal committee to approve a new bill that changes the way the country’s estimated 63 million pets are viewed. Thanks to the parliamentary vote, dogs, cats, horses, and other pets in France will now have new rights and stronger protection, animal activists say. Former Education Minister and French philosopher Luc Ferry was one of the 700,000 people, including other scientists and academics, who signed the French petition, which called for an end to the definition of “animal” used in the 1804 Napoleonic civil code — a definition which equated pets with pieces of property like furniture. Ferry believes that centuries-old definition is out-of-touch with reality — “absurd,” he tells the Daily Mail. “[It was] ridiculous to see pets as pieces of furniture that can walk by themselves,” she adds. The re-definition is likely to pave the way for stronger animal cruelty laws, and one French divorce lawyer, Franck Mejean, says the parliament’s vote will end a “legal grey area” for cats, dogs, and other pets stuck in the middle of divorce custody battles. One member of the French Parliament, Philippe Gosselin, believes the bill will put many industries and even possible scientific innovations at risk. And one spokesman from the Brigitte Bardot Foundation, Christophe Marie, calls the re-definition “long overdue,” but believes even more should be done to save the lives of animals. “It does nothing to challenge the exploitation of animals,” Marie says. The French vote stands in stark contrast to recent legal decisions in the U.S. that have solidified the definition of animals as mere property, including one Oregon animal neglect case that is making headlines. The Oregon Court of Appeals overturned the conviction of 28-year-old Amanda L. Newcomb, who was initially found guilty of second-degree animal neglect for allegedly starving her dog, because while animals are living beings in the state they are also seen as property in the eyes of the law.